How To Survive Week 2 of the Summer Holidays! 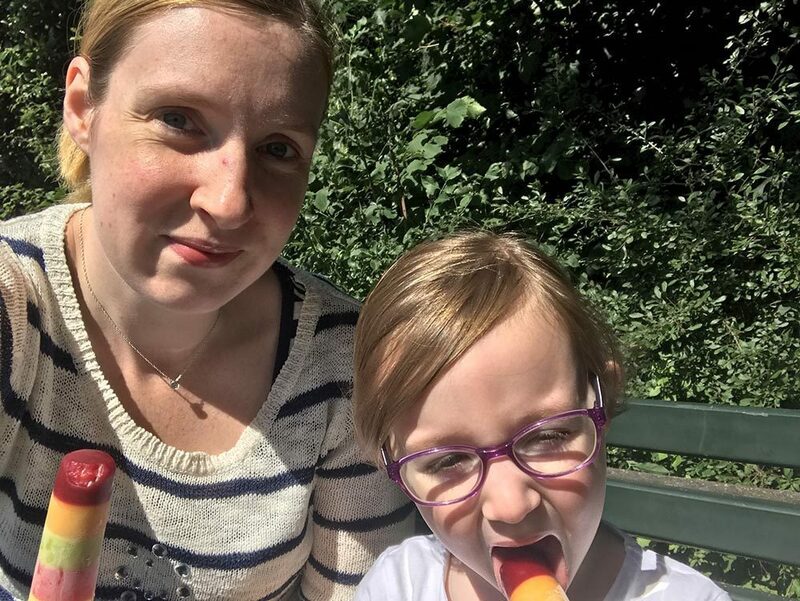 Home » Parenting » How To Survive Week 2 of the Summer Holidays! So with week 1 out of the way and Mia’s horrid cold finally shaken off, we had lots planned for week 2 and we were excited to get going! However I woke up on Monday morning literally feeling like death! 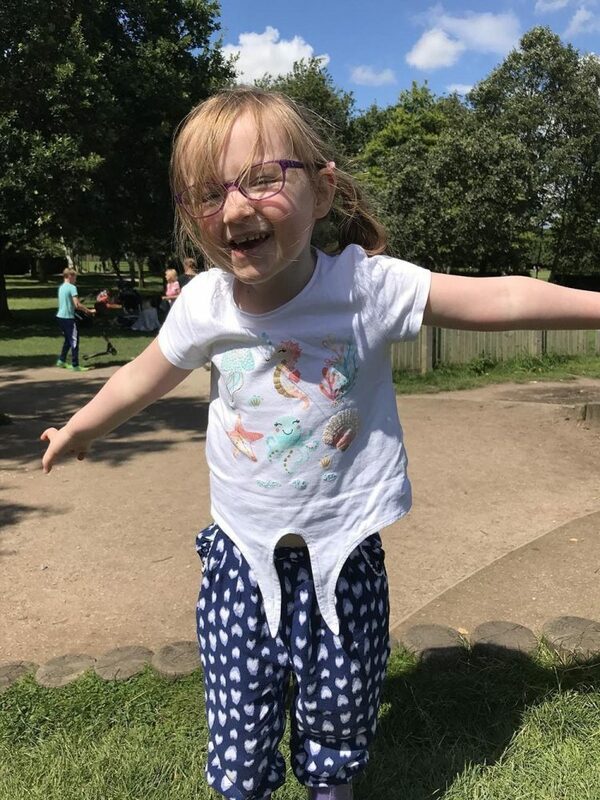 I had of course caught Mia’s dreaded cold and with being 4 months pregnant, the only thing I could take was paracetamol which never touches me! Great! So this week, again, we haven’t done that much however we did venture out a little bit so this is what we have been doing to survive week 2! 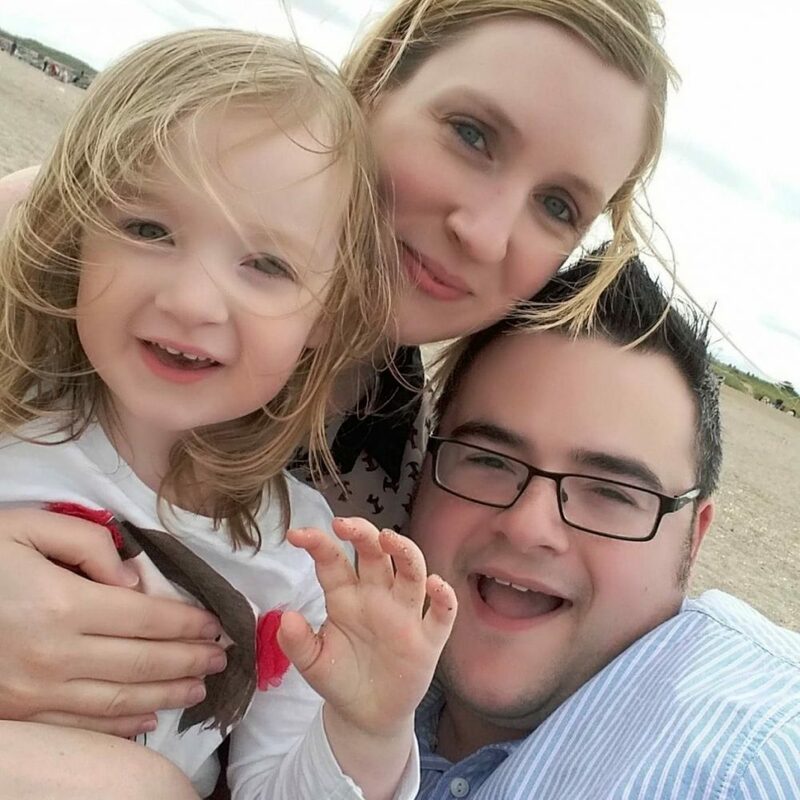 We headed off on Tuesday to one of our favourite places near to us, Rufford Abbey. Its somewhere I have always gone as a child and love walking around the lake, feeding the ducks, and watching the cars splash (or not!) through the Ford! We always stop for an ice cream half way round and it was actually boiling hot! We totally did not dress for the weather as it was supposed to rain! 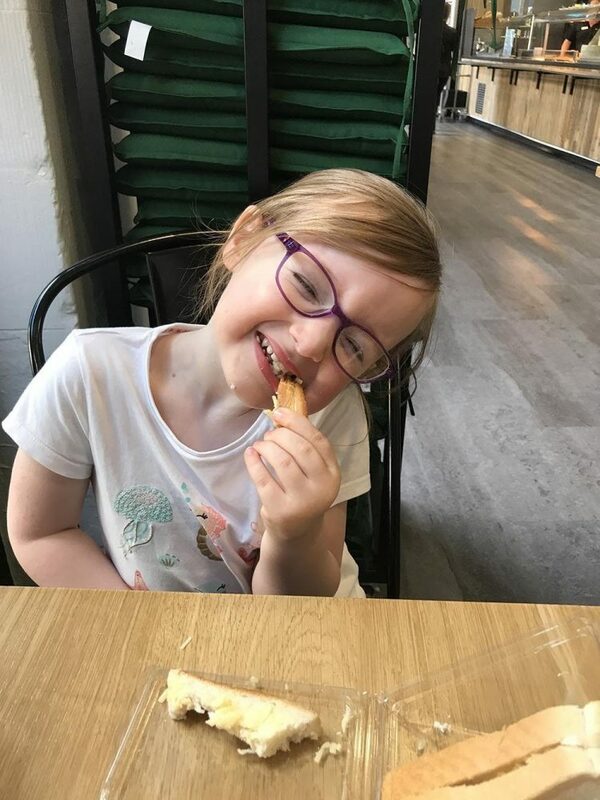 We also grab a quick sausage roll from the café once we have had a good walk and it’s lovely to take Mia somewhere we both enjoy and make new memories there! The weather wasn’t great again by Wednesday so we had a craft day. I was still feeling a bit rough so it was nice to spend some time working at home and for Mia to just potter around. 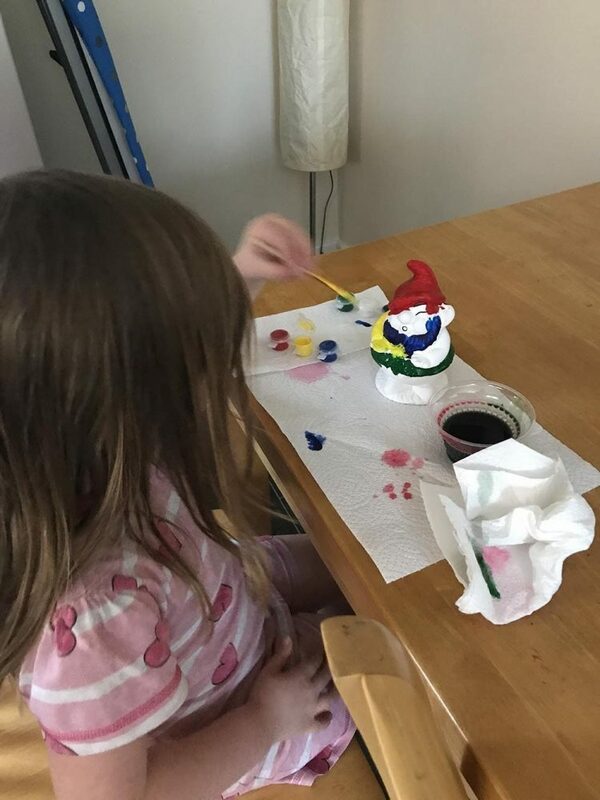 Mum had bought her a moneybox gnome last week so we got the paints out and Mia did her thing! 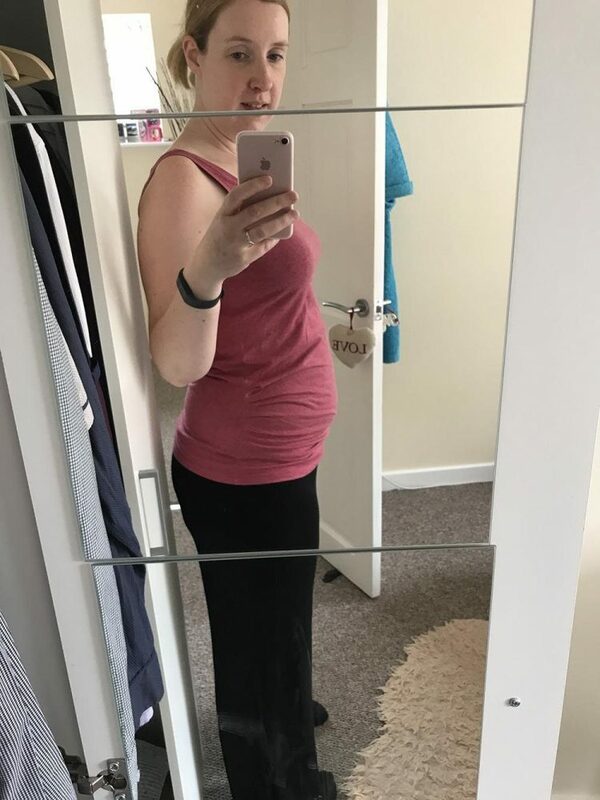 On Thursday I decided to get my maternity clothes out from 5 years ago as I have been starting to feel comfortable in my ‘normal’ clothes and I’m only wearing a couple of skirts now which isn’t ideal. Bump still isn’t big enough to wear the maternity tops but I had forgotten just how comfortable the trousers are! 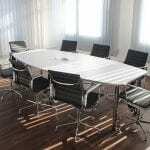 They are staying! 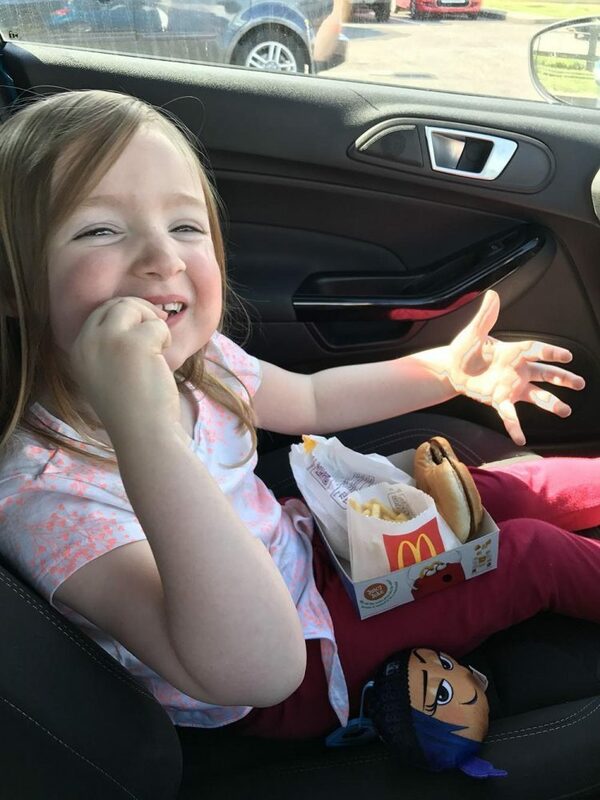 Friday is the day I said to Mia I would take her for a McDonalds if she has been good all week so we took a short drive down to Arnold to pick one up. I have to say I’m really enjoying them at the moment! Finally, on Saturday we met friends at Wollaton Park which we try and do each month. It’s lovely to have a walk round, stop at the café (as usual!) and we even got to see the Stag’s really close up as there were 3 wandering around the grounds. So it’s been a nice week despite the illness again! Hopefully next week will be a bit better and we can go out a bit more! I’m aiming to have a couple of days in each week either baking or crafting and then have a couple of inexpensive days out at country parks with a picnic but it is definitely weather permitting! 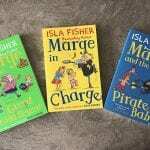 Older Reading with ‘Marge In Charge’!